Of all the jobs available within the fitness industry, the most iconic and arguably the most important job is that of a personal trainer. Personal trainers are at the cutting edge of the fitness industry and while gym managers, sales staff, maintenance crews and receptionists are all vital, it’s the personal trainer who is predominately responsible for the end user’s enjoyment and results. Writing exercise plans, taking clients through their fitness sessions, offering nutritional advice…these are just some of the tasks a personal trainer will perform on a daily basis. However, while knowledge plays an important part in successful personal training, so too does attitude. If you want to be a successful personal trainer, you need to be prepared to work long hours – the working day can start as early as 6 am, invest in initial and continued education, take responsibility for recruiting new clients and manage your own diary. And remember, you also need to be enthusiastic and professional for each and every session you deliver, be it the first or the eighth of the day. There is no denying that personal training is a rewarding and potentially lucrative career choice, but there is a lot more to it than simply standing next to your client and counting reps! Before you can start work as a personal trainer, you need to gain a recognised qualification. There are a wide range of qualifications available from weekend courses to full-time degrees. The minimum you will need is a Level 3 Certificate in Personal Training and its prerequisite, a Level 2 Certificate in Gym Instruction, to be taken seriously by most prospective employers. These courses can be obtained by studying on a part-time or full-time basis and where some course providers deliver the content in a classroom environment, others use a web-based learning platform which means there is a type of course to suit most if not all learners. Courses include both theoretical and practical elements and culminate with theory and gym-based assessments. In addition, many prospective employers will insist that personal trainers hold a rudimentary first aid qualification that includes CPR. Defibrillator training is also becoming more of a requirement. This is often necessary for insurance purposes which, if you are self-employed, you will need to obtain. Liability insurance covers you in the event of an accident or client injury. Once you have a recognised qualification, you will be eligible to register with organisations such as REPS (the Register of Exercise Professionals) or NRPT (National Register of Personal Trainers). One of the benefits of REPS membership is that they offer insurance policies designed specifically for personal trainers and at a reduced rate. Both companies provide an excellent way to begin establishing your professional standing within the fitness industry. As you near the end of your chosen qualification course, it’s time to start thinking about your future career options. Personal training jobs generally fall into two main categories; employed and self-employed. Employed trainers are usually salaried and work a set number of hours per week. Earnings are usually capped although they may be linked to hitting sales targets and, as an employed member of staff, uniforms and insurance may also be provided. In contrast, self-employed trainers are responsible for all of their own expenses and are paid directly by their clients; if they don’t work they don’t get paid. Self-employed personal trainers generally have to pay a “ground rent” to work in a gym and will need to market themselves to attract clients. However, self-employed trainers enjoy much more freedom and flexibility and there is no real ceiling to how much money can be earned. If you are prepared to work hard and smart, self-employed personal training can be very lucrative. For both employed and self-employed personal training, one barrier that all new trainers face is a lack of experience. This can be overcome by training friends and family and other members of your course. While it would be unethical to take payment for personal training without proper qualifications or insurance, you should ask for references and recommendations in return for your services. Is self-employment better than employment? There is no easy answer! In the end, you need to do your research, see what is available in the area in which you wish to work and then make a decision. For many, going down the employed route initially is a good way to gain experience before branching out alone however many successful trainers have followed the self-employed route. An important part of being a successful personal trainer is marketing; you need to be able to tell prospective clients that you are available to work and what services you offer. There are several cost-effective ways to raise your professional profile including leaflets and posters and creating an online profile using free tools such as Facebook, Twitter, and LinkedIn. While you may well be a company of one, it is also important to create a professional and marketable image and that includes logos, a recognizable uniform and your own unique marketing materials. If you want to be taken seriously, you need to project a professional image. It’s a given that personal trainers need clients and while increasing your profile using free social media is a good and important place to start, you will probably need to be more proactive if you want to attract new clients. There are several ways to achieve this. Websites provide an excellent platform for advertising your services and telling people more about yourself. Websites were once an expensive luxury but are now not only much cheaper (and often free), they can also be self-designed even if you have no programming skills. Companies such as WordPress and Wix offer easy-to-use templates that make website design very quick and straightforward. Of course, you need to drive traffic to your website and getting listed on the aforementioned REPs and NRPTs websites is one way to do this. It also pays to link your Twitter, Facebook and LinkedIn profiles to your website to create a network of social media. Posters and leaflets can also be useful. Walking the gym floor and introducing yourself to prospective clients by offering free introductory sessions is another effective way to raise your profile. Hand out business cards with links to your online profiles to close the marketing loop and drive traffic to your sites. Another excellent way to get clients is to align yourself with other fitness and health professionals. For example, a busy physiotherapist may not have the time to take their clients to the gym and developing a professional relationship with them could result in referrals – especially if you can refer clients back up the chain to them in return. Having a professional image will make these sorts of relationships much easier to develop. Referrals from existing clients can also help your business grow. Consider incentivising your clients by rewarding referrals. For example, award them a free session for every new introduction. Many clients will choose a trainer based on how they would ultimately like to look and feel themselves and that means you need not only talk the talk but walk the walk too. If you want to be taken seriously as a trainer you need to lead by example and show your training and nutritional methods work. Of course, genetics, age and gender all play a part in your ultimate fitness quest but you should definitely take a pride in your personal fitness levels. Prospective clients are far more likely to seek out your professional services if they see you practicing what you preach so use your own workouts as a marketing opportunity and remember to wear your logo. 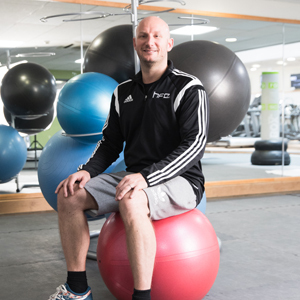 Gaining your initial qualification is a major educational benchmark but it’s important to realise that, as in-depth as a L3 Personal Training qualification is, it’s only really the tip of the fitness iceberg. If you want to stay competitive, offer the best service possible to your clients and ensure you stay up-to-date with the latest fitness developments, it is essential you seek out additional courses, buy books on new training and nutritional methods, subscribe to professional journals and keep an eye on a few quality websites. The fitness industry is very fast moving and if you don’t want to be left behind, you need to keep adding to your skill set. In staying up-to-date, you may also discover areas within personal training in which you would like to specialise. For example, if you have an interest in the link between exercise and medicine, you might enjoy working with special population groups such as people suffering from back pain, pre and post-natal, or obesity. There are also additional qualifications available in areas such as boot camps, exercise for children, exercise for the elderly, group training and a host of other exciting avenues. Specialising in areas outside of the normal tone up/lose weight sphere is a great way to separate yourself from the herd of other personal trainers and is an option well worth considering if you want to take your career to the next level. Recruiting clients can be time-consuming and may even cost you money so it makes sense to keep the clients you have recruited and avoid having to spend even more time and money getting new ones. As your client’s fitness levels improve, you need to make sure the services you provide grow to meet their needs. This is another reason for making sure you stay up to date with the latest fitness industry developments. Make sure you always under promise and over deliver by going the extra mile for your clients. Ways to do this include offering additional services, fostering a professional relationship with all clients, providing constructive feedback, setting challenging but realistic goals and making sure that your business is centred on your clients. Personal training is so much more than just working in a gym; you can have a huge impact on the health and wellbeing of your clients and enhance many aspects of their lives. It’s a demanding and competitive role, but if you are prepared to work hard it can be an extremely rewarding career.